Grazing is the most ecologically damaging form of land use in the arid America West. Research has proven that non-native livestock is responsible for soil compaction, destruction of wetlands and riparian zones, a decrease in water retention and aquifer recharge, soil erosion, flooding, a net-loss of biodiversity and large amounts of methane gas. Livestock grazing contributes to the spread of harmful invasive plant species, which greatly affects the West’s historic fire regime. To make matters worse, the American taxpayer heavily subsidizes destructive grazing practices every year to the tune of tens, if not, hundreds of millions of dollars. At the very least, the federal grazing fee ($1.69 cow/calf pair) must be substantially raised to recoup administrative costs. Voluntary grazing retirement (grazing permits to be bought out by conservation groups) needs to be enabled on all federal public lands. Congress must stop using legislative riders to handicap the ability of federal land and wildlife agencies, and the public, to use our public land laws to asses the cumulative impacts of harmful grazing. Speak for Wolves is a project that aims to educate, inspire and organize citizens to work towards reforming wildlife management in America. You can join with fellow wildlife advocates on August 7-9, 2015 at the Union Pacific Dining Lodge in West Yellowstone, Montana. We will present and discuss the next 3 objectives in the near future. To learn more go to the event website. Red Cliff Tribe Rolls Out Wolf Protection Plan, Declares Itself A Wolf Sanctuary. Thank you, Red Cliff Tribe!!! 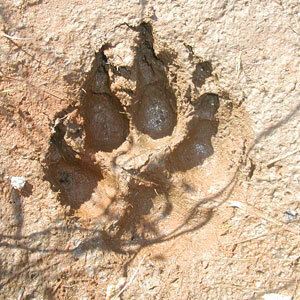 Ida: Thanks for this link to the Red Cliff Chippewa’s plan to protect the wolves around them. Wonderful. I looked at the map on their web-site and WOW! !, what a special place they call home — a real isolated mid-west nature wonderland. Thank You Red Cliff Tribe!! Thanks Brett. I really enjoyed the event last year. Wish I could make it this year. I’ll be there in spirit! Thank you Joanne. Let’s stay in touch.